Home > Forums > Wedding Planning Forums > Wedding Planning > Purbelle reviews? Hi! So here is the thing, I’m having a really hard time with my girls and finding dresses as they are all different shapes and sizes and we have had no luck so far. Then I came across this website called Purbelle. I found my colour and all sizes there. I’m wondering what is the quality like? Has anyone bought dresses from there? Thanks very much! My bridesmaid dresses were from this company! We chose different styles in the same shade because I wanted all my girls to feel comfortable and beautiful! I ordered the dresses custom sized and they all fit my girls perfectly. We received so many compliments on the dresses. I have a few friends’ weddings coming up and I will spread the word! We ordered bridesmaid dresses from this website two months ago and I think according to their estimate time, we’ll receive the dresses in one day or two. I will come back and share everything about my dress once we receive them. Thanks for your reply. That’s very useful. How is the quality of the dresses? Thanks for your feedback. Did you receive the dresses? I will be waiting for your update before I make my order. We have received the dresses and I don't know how to upload the picture of my dress! I’ve tried it on and it fits me like a glove! The dress is fully lined so it feels very comfortable against my skin. It even comes with built-in pads, which give the dress a very good shape on the bodice part. Overall, I was very pleased with my dress and I can’t wait to wear it at my friend’s wedding! I will upload a picture of the dress if I could find a way. Really sorry for the late reply. I have been very busy these days. I’m thinking about using Purbelle for my bridesmaid dresses also! The dress looks beautiful and you said it fit you perfectly? Did you run into any problems? Do you recommended using them? Also what color is the dress that you got? It would match my wedding perfectly. Thanks! My MOH found Purbelle after an upsetting experience with a bridal salon near where we live. 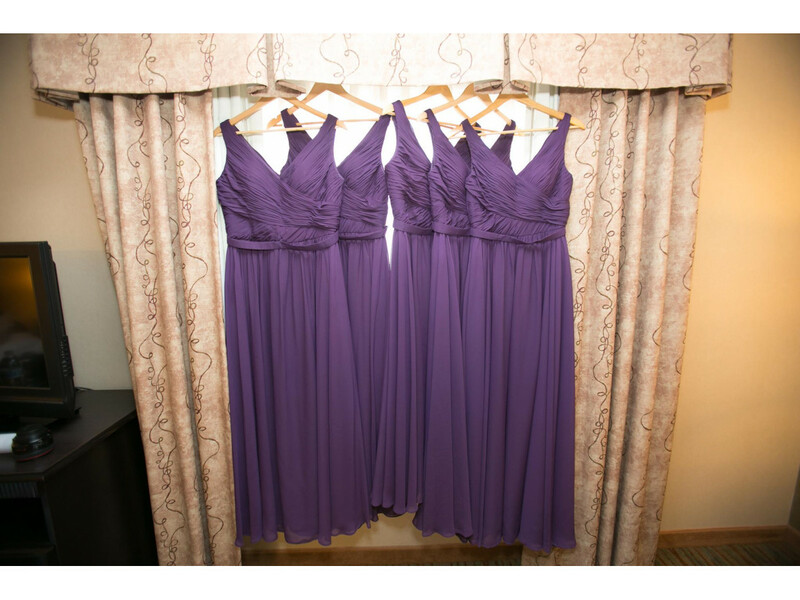 We were in desperate need to find 5 exact matching bridesmaid dresses in the plum purple I wanted and to have them all fit my bridesmaids in the 1 month we had left. It was such a nerve wrecking experience to go through. My MOH had been emailing with this company getting information on express shipping and custom sizing. Their customer service was so easy to work with and was always quick to respond to questions we had. I was super nervous buying dresses online but their photos are of real brides and the dresses they have bought. Although I did not have the time to order color swatches, I would have done so if I did have the time. However, my MOH is going to be using this company for her wedding in June and she did order color swatches. I think that is such a great feature to have. I have no regrets going through them. It was such a smooth process, and we got our dresses exactly 2 weeks after placing the order. The dresses came exactly how we ordered them, labeled with every ones names. The custom sizing is very helpful as well because the idea is to get the dress made in your exact size and you don't need to get any alterations done. After this experience, I would highly recommend going through this company weather you need dresses fast or not.